Rhinestone Party Mask Earrings Only 99 Cents PLUS FREE Shipping! You are here: Home / Great Deals / Amazon Deals / Rhinestone Party Mask Earrings Only 99 Cents PLUS FREE Shipping! You can’t beat this deal! 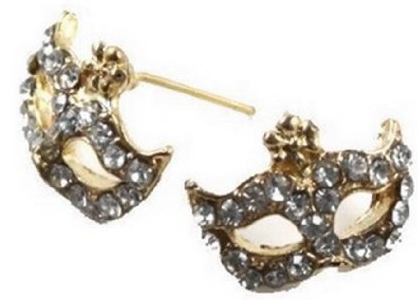 These Rhinestone Party Mask Earrings are Only 99 Cents PLUS FREE Shipping! These would make a great gift for a teen or tween or even for yourself! These earrings are unique and sure to get people talking! Get yours Now!